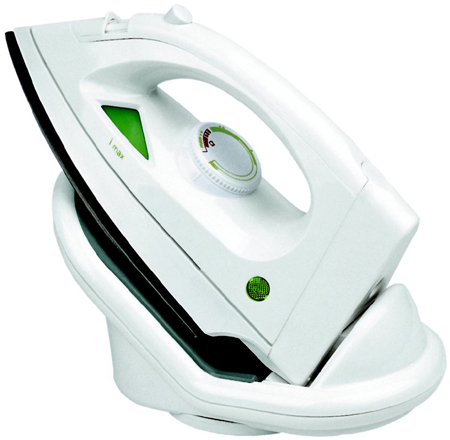 Use your electric iron efficiently. A hand iron consumes more power than a colored television set. It is more comfortable to do the hot job in the morning when it’s cooler. It also avoids peak demand hours for electricity. Avoid heating the iron for just one piece of clothing to be pressed. It wastes the heat accumulated in the iron. When you are almost through ironing a pile of clothes, unplug the iron. There will be enough stored heat in the iron to press the few remaining items.